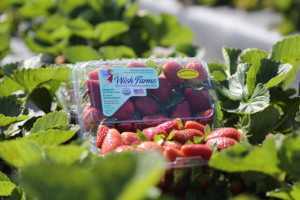 Plant City, FL-based Wish Farms, national produce grower and shipper, is now offering a year-round supply of conventional and organic strawberries and blueberries. With the Florida strawberry season completed, focus has turned to the California strawberry season and Florida blueberry season. 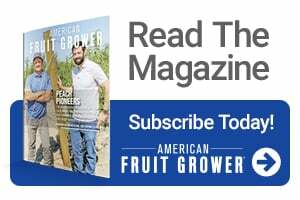 To support its year-round berry program, Wish Farms continues its “How’s My Picking?” consumer promotion, which launched last November. A call-to-action sticker on each package of Wish Farms berries includes a unique 16-digit number linking that package of fruit back to the picker. Consumers are asked to visit HowsMyPicking.com to complete a short survey and in return receive a Wish Farms reusable shopping tote in the mail and are entered to win a $100 gift card to the grocery retailer of their choice. The more surveys completed the greater their chances of winning. Also, Wish Farms plans to launch a series of recipe videos as a component to its consumer outreach campaign. Seasonal how-to berry recipes will be featured on the company’s YouTube channel and promoted across all social media outlets.